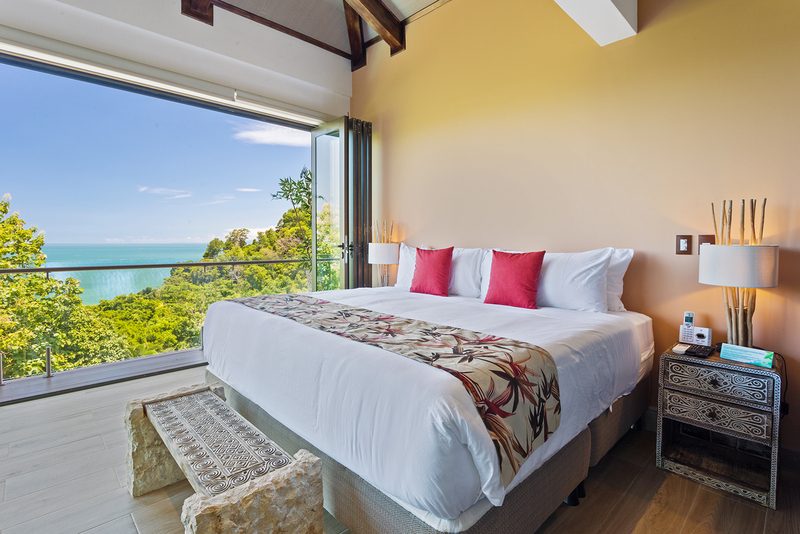 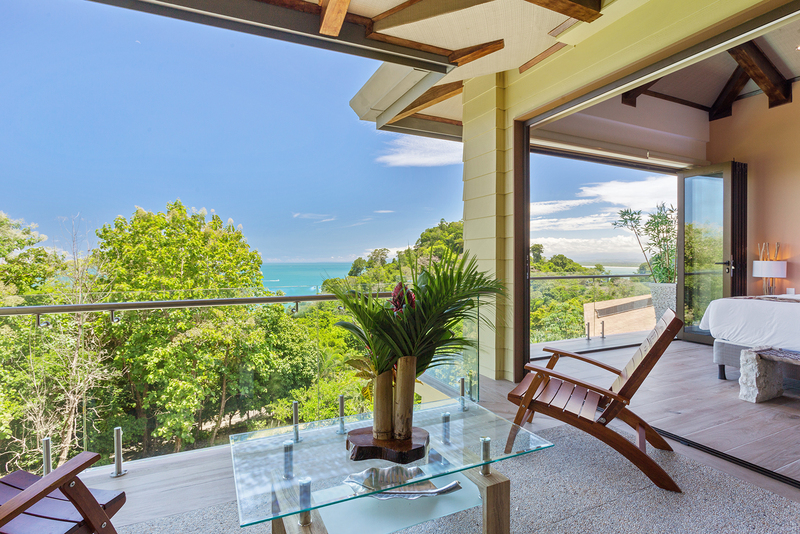 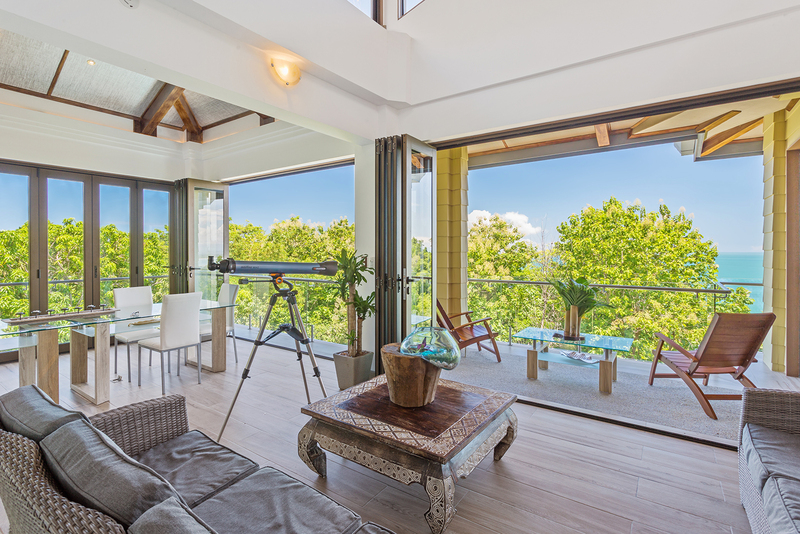 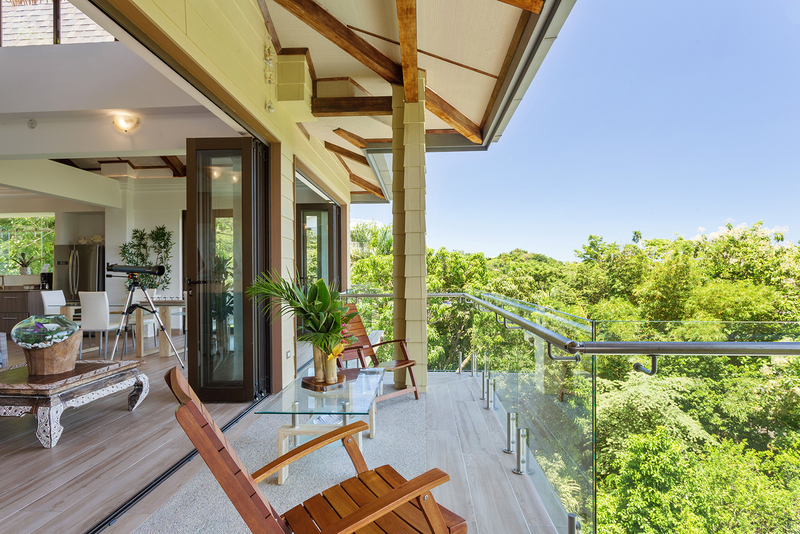 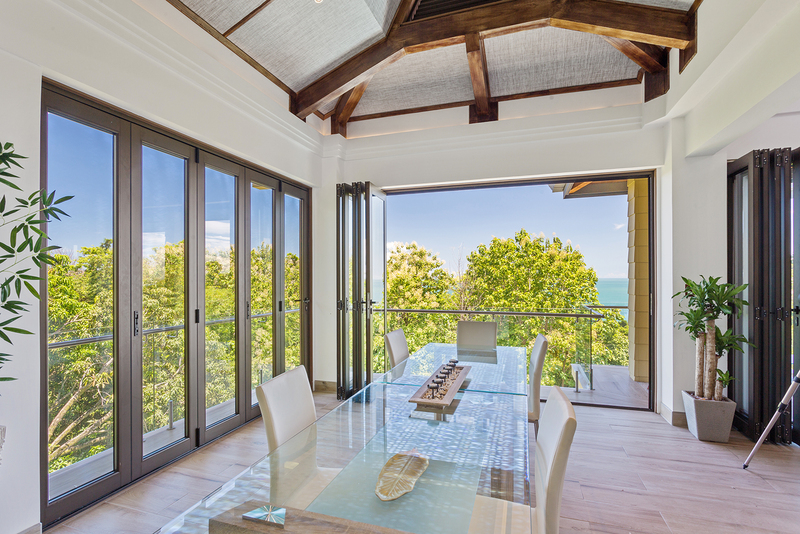 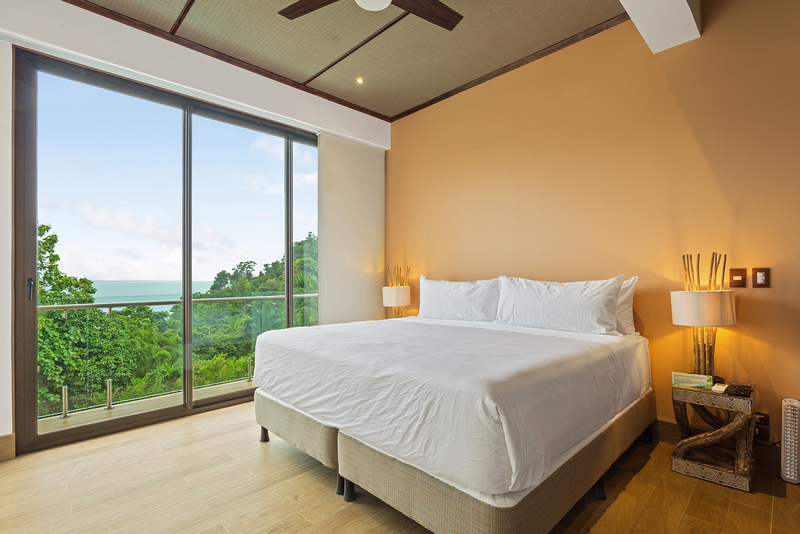 This private residence was architecturally planned to take full advantage of the expansive ocean and jungle views. 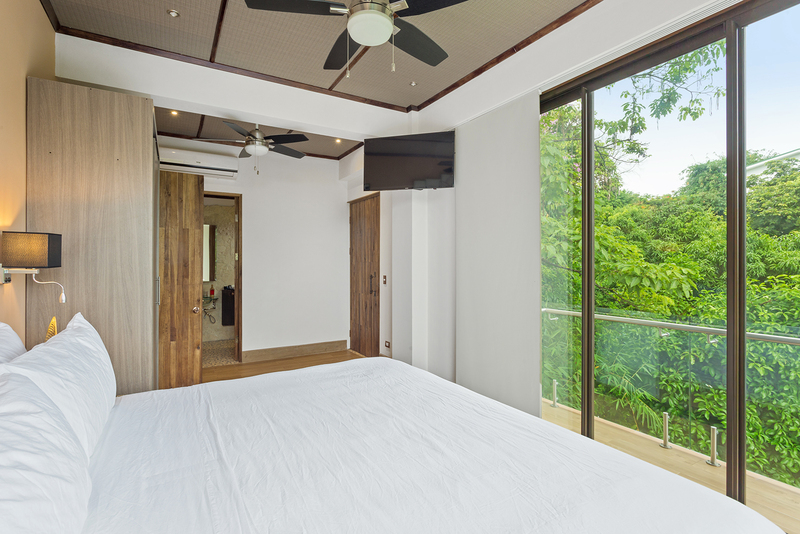 The 2-level home features 4 separate bedrooms, each outfitted with a king bed, a TV and air conditioning, and 4 deluxe full baths as well as 2 half-baths. 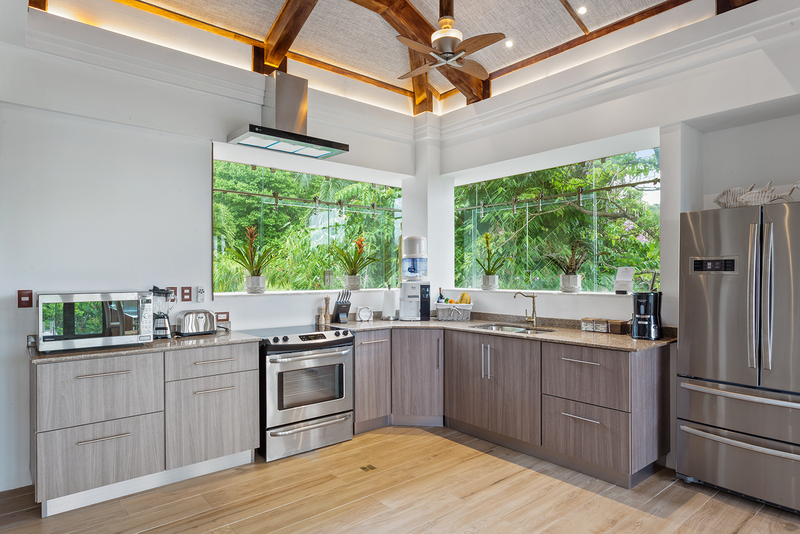 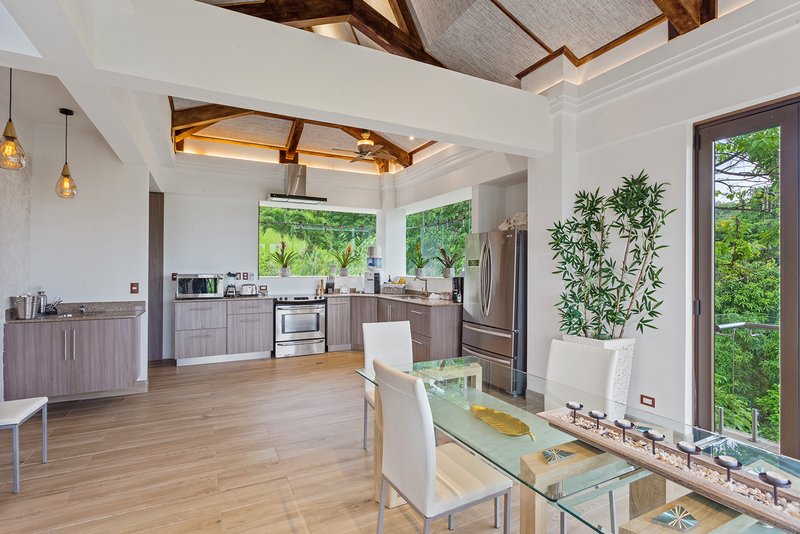 The layout includes 2,500 square feet of living space and can accommodate up to 9 guests, providing plenty of flexibility for a family vacation or a group of friends on a getaway! 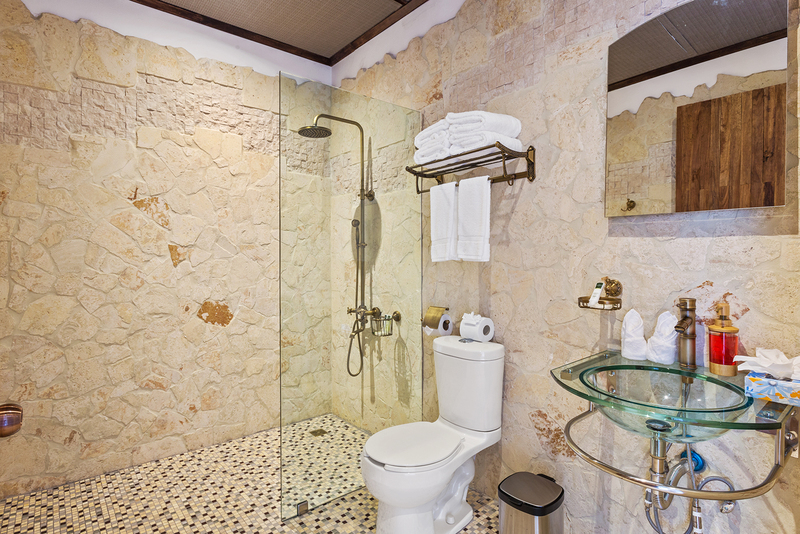 The home is the only residence at Tulemar Resort that is handicap accessible. 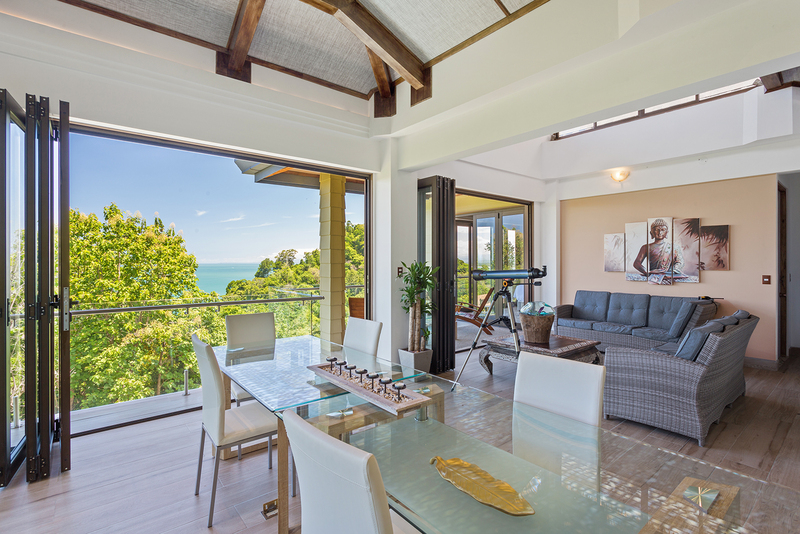 This accommodation has a full chef’s kitchen equipped with modern appliances, a separate TV room with a pull-out sofa to accommodate another guest if needed, a washer/dryer, a large balcony, and private access to one of the largest infinity pools on the property. 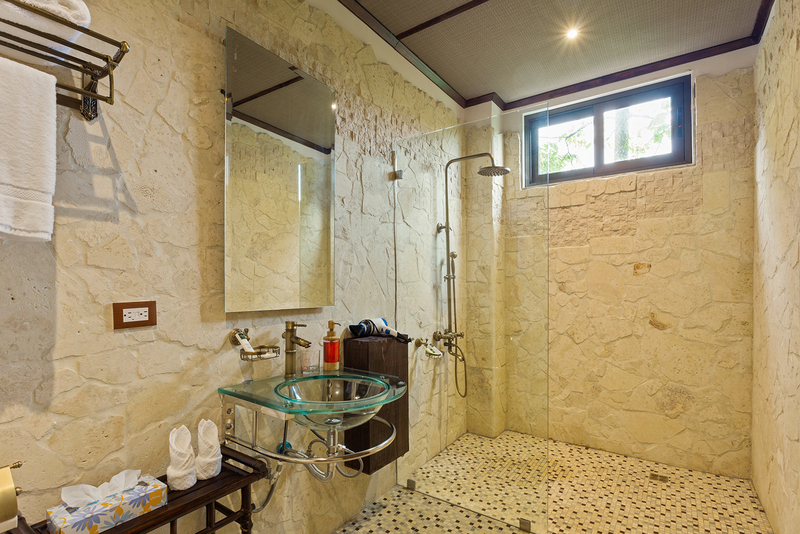 Amenities also include daily maid service and wireless internet. 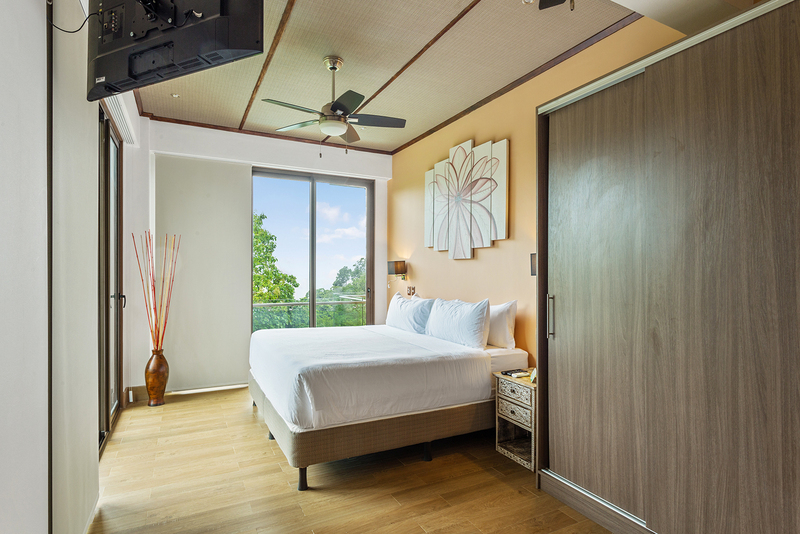 Rates include up to 9 guests. 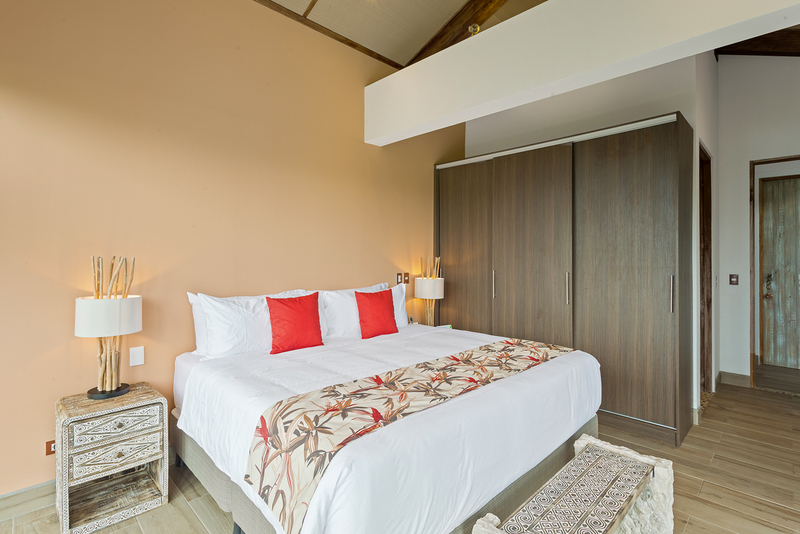 Unit can accommodate a maximum of 9 guests.